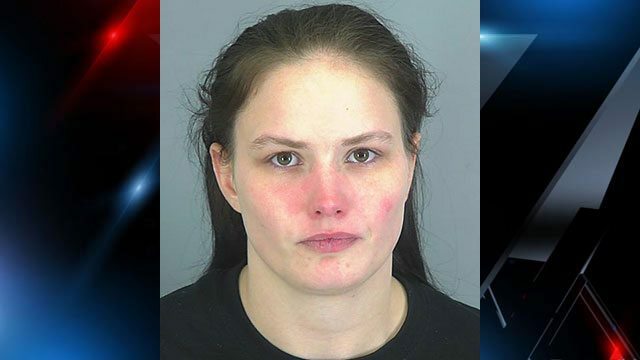 A South Carolina mother has been accused of killing her 17-month old daughter by feeding her a teaspoon of salt in a bid to win her ex-partner’s affection. Peyton Martines died on Wednesday (3 August) after being taken off life support having been declared brain dead. Kimberly Martines, the child’s 23-year-old mother, has now been charged with homicide by child abuse. Prosecutors say she fed her daughter the salt at her home in Fingerville to get attention from the baby’s father, with the couple having separated. 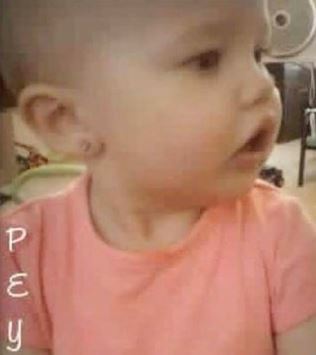 An incident report says Martines awoke to the sounds of her baby’s screams, and went over to the baby who she said was hot and appeared to be having seizures. Peyton was taken to Spartanburg Medical Center on 31 July, with doctors saying she had suffered acute intoxication of salt. She died three days later. It emerged the baby had previously been referred to a doctor, in November 2015, due to being underweight and underdeveloped. A paediatrician referred Martines to a specialist but she allegedly cancelled the appointment. Martines appeared in court on Wednesday and is currently in jail awaiting a bond hearing. Peyton’s extended family paid tribute to the baby in a statement provided to the press, saying: “Peyton was the most beautiful, happiest, loving baby ever. She never cried and was a silly baby making everyone laugh. Martines’s sister, Tiffany Lazar, asked people not to jump to conclusions about the case, telling WYFF News 4: “She was a great mother. She would’ve never done anything to hurt her kids at all. Peyton’s twin sister and her older sibling, who were unharmed, have both been removed from Martines’s care and placed into protective custody pending a family court hearing. Salt poisoning leads to hypernatraemia, which is a high level of sodium in the blood. It causes cell shrinkage and fluid imbalances, which can lead to the swelling of the brain.